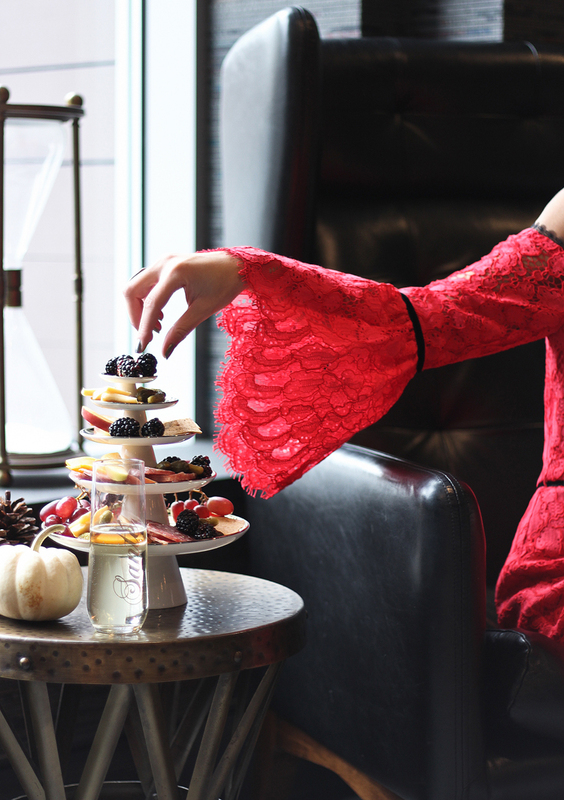 Getting into that holiday spirit with Shopbop. Alexis Odette dress, Toasting flutes, Mirror tray and Dessert Tower all c/o Shopbop (samples), French Connection Licca studded heels. Shot by Nicole Rutsch. If you're feeling anything like me after this fiasco of an election, it's that the holidays can't come soon enough. I think we're all in need of some quality time with family and friends; an excuse to get festive, drink up, give gifts, give back and reflect on all that we're grateful for before a new year begins. 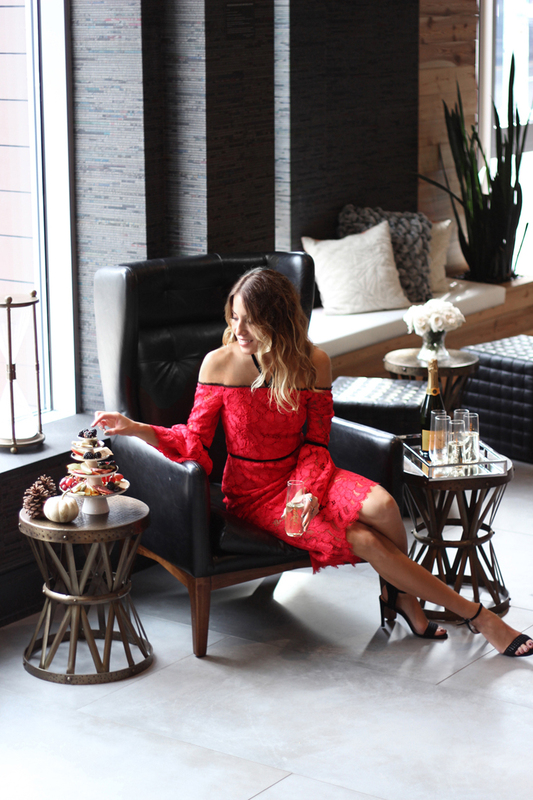 So when Shopbop approached me to share a few of my favorite holiday pastimes, I was more than happy to dive in and let the spirit of the holidays wash over me. Personally, I love hosting get-togethers at my apartment, whether they're intimate dinners or large-scale parties. Even if everything in your life is a literal mess, it's still relatively easy to look like the most put-together party planner ever. Just toss on a bright, colorful frock, grab a bunch of bubbly, create a little tablescape magic and you'll be on your way to hostess bliss in no time. In the end, it's really all about the presentation, making sure your guests are at ease (an introductory cocktail or shot when they enter always helps), and cranking up a good playlist. What are you most looking forward to this holiday season? I love this outfit! I'm so ready for the holidays, too. Enjoy! Oh so trying to get in to the holiday spirit but it is hard these days. But that dress could go a long way in improving my mood! You look great! This dress gets me super excited for the holidays, not just because my birthday is Christmas Eve. Beautiful look! !